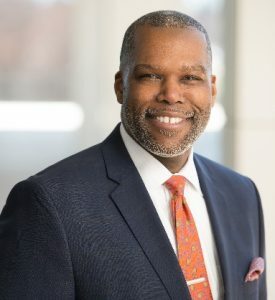 Leonardo McClarty is the President/CEO of the Howard County Chamber where he is charged with the strategic direction and growth of the 700+ membership organization. His specific duties are largely centered in four distinct areas, organizational leadership and business development, program management, marketing and community relations, and fiscal management. Prior to coming to Howard County, McClarty was the Director of Economic and Community Development for the City of York, PA where he was responsible for promoting the city to the private sector in efforts to foster economic investment and neighborhood redevelopment. Within his purview were the Bureaus of Economic Development, Health, Housing, and Planning-Permits-Zoning. A native of the Atlanta area, McClarty served as the President/CEO of the DeKalb Chamber of Commerce for nearly 10 years. A career economic development professional, McClarty has also worked for the City of Roswell, GA, DeKalb County, GA and the Georgia Department of Community Affairs. He holds an undergraduate degree in Political Science from Furman University and a graduate degree in City and Regional Planning from Clemson University. He is a Certified Chamber of Commerce Executive (CCE) though the Association of Chamber of Commerce Executives (ACCE), Certified Economic Development Finance Professional through the National Development Council (NDC) and is a graduate of the US Chamber’s Institute for Organization Management. McClarty is married to Shaneka McClarty and they have three daughters.